Vintage comes with a green hugger cradle. The Vintage casserole hit consumer markets in 1973. 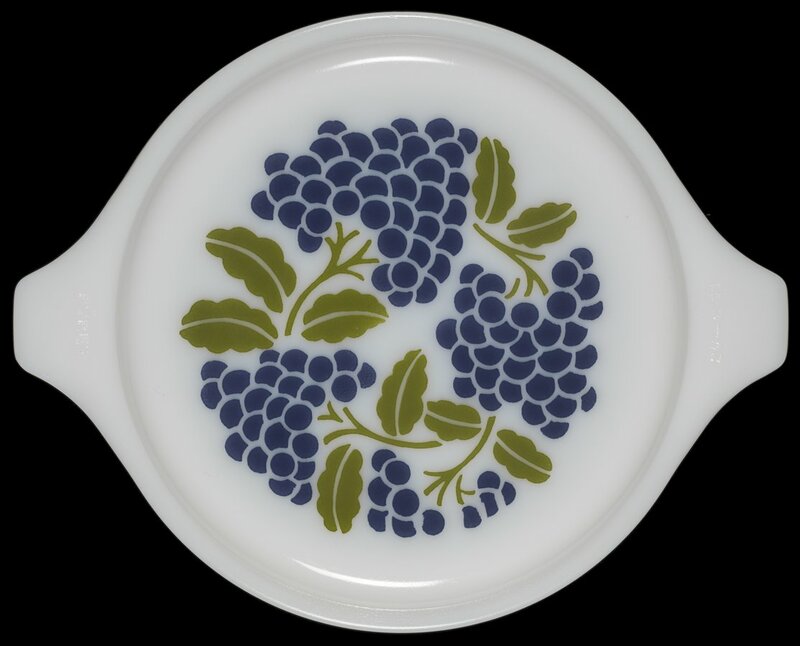 While Vintage is the official name of this pattern it is unofficially referred to as “Vintage Grapes,” due to the grape and vine design on the opal ware lid. Vintage has a solid dark green one-quart (470) casserole with a white decorated opal ware lid. The casserole came with a green hugger cradle.